What’s Your Thing? 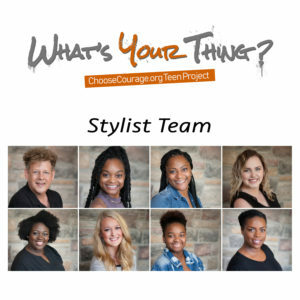 Teen Project will be launching Tuesday, September 4!! Shout out to the AMAZING hairstylists and make-up artists who donated their time and talent to the project! Not only are they some of the best in their profession they are also dedicated to giving back and helping prevent the next generation of dating violence and domestic abuse.